Obama didn’t lose the argument with the right; he chose not to wage it. 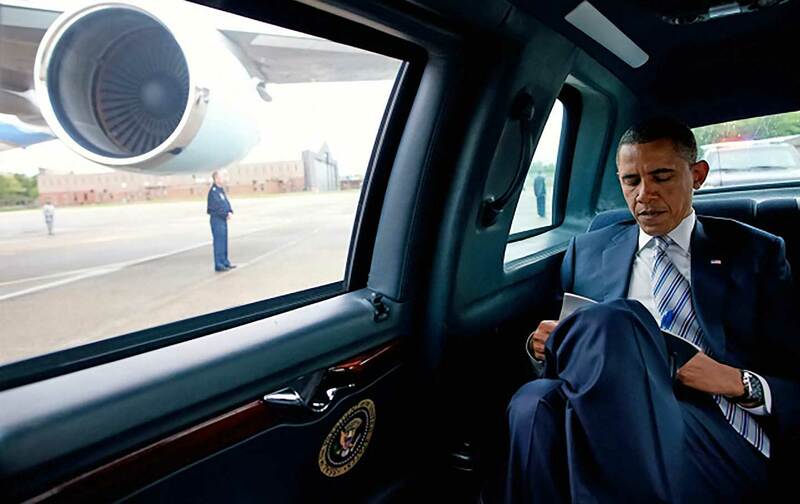 Barack Obama’s stature will grow ever more impressive in the rearview mirror. We already miss his dignity, his grace, and his intelligence. His presidency was largely a competent, no-drama, scandal-free administration, and it will only gain in esteem as we gag on a presidency rotting, like a fish, from the head down. Donald Trump may be intent on repealing everything Obama accomplished, but he will inevitably ennoble him in the process. Chait makes his case forcefully, in part because he believes Obama can’t get any respect. Republicans loathe him, but even his own supporters among liberals and the left, in Chait’s view, don’t sing his praises loudly enough. For Chait, any reservation about the former president tells us “more about the liberals than it does about Obama.” Liberals, he argues, suffer from a psychological disability: “an infantile rejection” of the compromises inherent in governing. The “realities of exercising power…invariably repulse them”; they have a “reflexive disgust with governing” and find “power itself discomfiting.” If progressives would only just get real—if they could only understand the kind of realpolitik that Chait appreciates—then they too could see Obama in his full power and glory. In both cases, Chait’s overstatement of Obama’s greatness is characteristic and ubiquitous. Summarizing his stunning election in 2008 as an expression of a rising multicultural, multiracial, more secular and tolerant America, Chait argues that Obama was not only the product of a new, more progressive generation; he was also “its cause.” And while Chait takes a deserved swat at the Nobel Committee for giving Obama the Peace Prize for “not being George Bush,” he also focuses almost exclusively on Obama’s diplomatic successes, while discounting how he fought wars without end or victory, expanded the president’s national-security prerogatives, unleashed drone attacks on eight nations, condoned the mass surveillance of Americans, and committed the nation to a $1 trillion modernization of its nuclear arsenal. Chait does allow that “undoubtedly, Syria and Libya cannot be counted as achievements for the administration.” No kidding. Obama did rack up substantial achievements, particularly in his first two years, when large Democratic majorities dominated both houses of Congress. He rescued an economy in free fall, passed the largest stimulus package in history, saved the auto industry, enacted the most significant financial reform since the Great Depression, extended health-insurance coverage to 20 million Americans, and took the first steps in addressing climate change. But he also restored American institutions rather than restructuring them. Obama’s stimulus helped the recovery (along with the trillions in virtually free money pumped out by the Federal Reserve to the banks, something somehow ignored by Chait), but it didn’t dislodge our austerity politics. His financial reforms rescued the banks but left them more concentrated than ever. His health-care reforms were built on the private-insurance companies, pharmaceutical corporations, and hospital complexes that continue to drive up costs. His energy reforms didn’t come close to meeting the minimal standards that scientists say are necessary to avoid catastrophic climate change. President Obama restored American institutions rather than restructuring them. Democrats went into the 2010 midterm elections without a coherent economic argument. Chait argues that the mainstream press and establishment economists turned against deficit spending and demanded fiscal responsibility, reinforcing the right. But the president not only failed to address their arguments; he raised a white flag and went over to the other side. By the fall of his first year in office, with the unemployment rate reaching double digits, he began issuing public warnings about deficits, saying that the federal government, like families and businesses across the country, had to tighten its belt. His congressional allies were left without a defense for what they had already done, much less support for passage of another round of desperately needed stimulus money. In early 2010, Obama even created the Simpson-Bowles commission to recommend steps to reduce the national debt. Democrats went into the 2010 midterm elections without a coherent economic argument, which contributed to the loss of their majority in the House. In 2011 Obama tried to negotiate a “grand bargain” with Republican House Speaker John Boehner and ended up accepting a deal for a “sequester” that, when it went into effect in 2013, embraced austerity and put a lid on spending. What followed was a far slower recovery, with millions suffering extended unemployment, and the continued decline of social provisions, with domestic discretionary spending dropping to levels not seen since the Eisenhower era. Obama arguably accomplished more than Reagan did, but he failed to consolidate a new progressive consensus on the political economy. Donald Trump understood that this economy, even as it neared what economists considered full employment, was not working for working people. While he railed vociferously against all things Obama, vowing to repeal everything from Obamacare to the Paris climate agreement to the Iran nuclear deal, his constant focus was on good jobs. He indicted the “corrupt Washington establishment” of both parties for lousy trade deals and for coddling companies that shipped jobs abroad, while promising a trillion-dollar program to rebuild our decrepit infrastructure, increased military spending, and tax cuts, the deficit be damned. Trump combined this populist appeal with toxic doses of race-baiting politics, slurring Mexicans and Muslims and posturing about law and order. Editor’s note: An earlier version of this article implied an inaccurate chronology when describing the 2010 midterm elections. The text has been corrected.